Please enjoy the quiet, bone-dry irony of these Soviet-era jokes. Nils Gilman is a futurist, pessimist and just about the smartest person you could follow on Twitter. He takes on banks, the GFC, social inequality, and where we as a species are heading. Arabia must be either an enemy, a colony or a petrol station. There are no other choices. 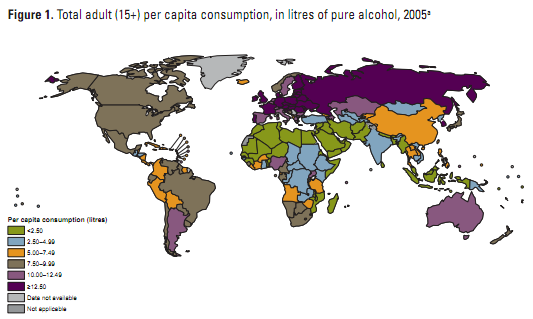 The world has more non-alcohol-drinkers than drinkers, the World Health Organisation reported overnight. The director of Columbia University's National Center for Disaster Preparedness explains what to do when the bomb drops. Start building your fallout shelter now. The notion of "rogue states" is completely out-dated, says Nader Mousavizadeh, presupposing most of the world is united behind common Western (and American) values and interests. The US no longer gets to call the shots. In the 1970s, the Soviet Union came this close to launching a huge satellite with a giant laser attached to it to take out America's anti-missile shield. The fascinating and largely untold story of how it all fell to pieces.